A Block from the Beach in Fenwick. One week left! July 14-21! 10% off fee! 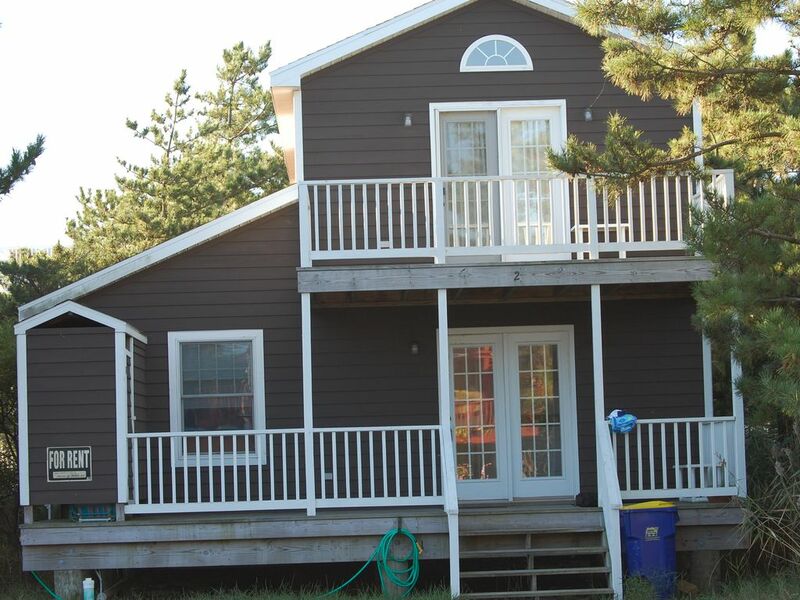 Comfortable 4 bedroom Oceanside home in Fenwick Island Delaware with everything you need for a great beach vacation. Located on the north end of Fenwick, the beach is never crowded. Close enough to the boardwalk in Ocean City, the outlets and restaurants in Rehobeth if you need them. Or just stay in Fenwick where there is plenty to do. There's the beach, Thunder Lagoon water park, Coastal Kayak for kayak rentals and Dairy Queen when you need a Blizzard. My husband Paul and I live in Frederick MD but have been vacationing in Fenwick Island since we met 30 years ago. When we started a family we decided to buy this house so our kids could grow up loving the beach and Fenwick. Paul and I have owned this house for 20 years. It has been a great place to vacation with our children and our friends. It is comfortable and pleasant but not fussy so you don't have to worry about relaxing. We love to cook so the kitchen is well stocked for cooking. We still love coming here every summer and we hope that our guests will love it as much as we do. Outdoor shower in addition to the 2 in the house. Beach is 500 feet from us. There is also a bay view with beautiful sunsets. Great room with TV . One long table that seats 8-10. An additional table for extra seating in the great room. There is a table on screened porch for dining as well as a picnic table on the deck. We had ample room for 7 adults for our family reunion. Comfortable furniture & beds, clean, with a well appointed kitchen. Media worked well. Screened porch, outdoor shower, beach chairs, boogie boards were all great. For us, it's unusual that we had to bring our own linens... it seems that's how it's done on the east coast. It was easy working with Cindi on arrangements. Once again, our Fenwick stay here was nothing less that perfect! The rooms fit all of our needs, both in space and privacy. Just a few steps to the beach is absolutely wonderful. We love the screened in room off of the back for the outdoor experience to relax, play games, eat, and yet No bugs to bother! Thank you again, Cindi and family for sharing your beautiful home with us!! Perfect house for our needs!!!!! Great house close to the beach restaurant golf lots of fun for a great price!!!! Nice House - Great Location! 1.5 short block so to the beach; good sized great room, perfect for singing and group bonding; beds are in good shape; good sized bedrooms; nice screened in back porch; great gas grill; beach chairs provided; perfect weather; 5-7 foot waves; what more can I say? This is our second time staying here and we always enjoy our stay. The kitchen is well stocked, the screened in porch is a nice addition, and there are always sand toys and beach chairs. We will be back again! Excellent weekend in Fenwick Island over Labor Day! The house is a perfect location for walking to the beach even when it rains!